In the midst of a country sliding into chaos, one mother struggles to stop her two surviving children from killing each other. One son is in government; the other is in hiding. Ray Franklin, outlaw, rebel, and deserter, is on the run, chased by government forces and haunted by his past. The vice-president, a man determined to gain complete power at any cost, is directing that hunt. From a nail-biting chase through the depths of the Weeping Wood, to a maze of half-forgotten tunnels under the capital city, Ray is slowly drawn into the VP’s trap and forced to face up to a painful truth. Rose needs to save her children before a long-hidden secret pushes the country of Aijlan into anarchy. 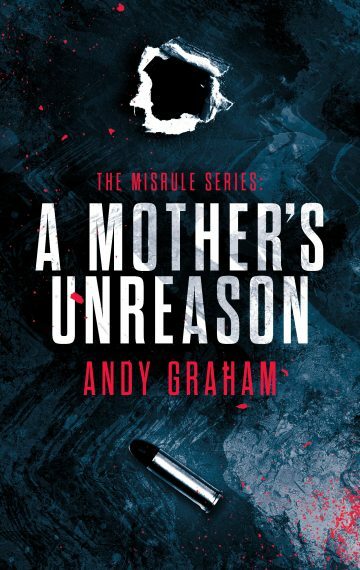 Set in an alternate world based on our 21st century, Rose – A Mother’s Unreason is Book Three of The Lords of Misrule series. Part political thriller, part dystopian fiction, part quest for revenge, Rose is a dark, action-packed, morally ambiguous novel from British author Andy Graham.